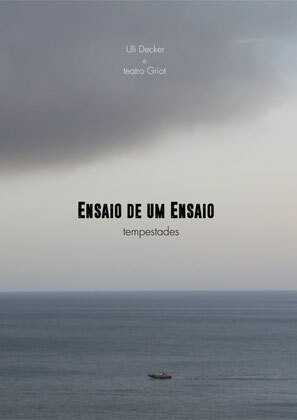 "TEMPESTADES - Ensaio de um Ensaio" is a documentary essay about a text that penetrates lives and lives that penetrate a text. In September 2015 teatro GRIOT - a theatre company based in Lisbon, whose actors are mostly Afro-descendants - started to rehearse Shakespeare's "The Tempest" with acclaimed director Bruno Bravo in a little coastal village. Starting with the first rehearsals the film explores Shakespeare's text and the actors' biographies, between the play and the landscape and brings up topics such as memories, home, emigration and colonialism. A complex mosaic of multiple voices. 30 May - 3 June 2018 "PORTO FEMME - Festival de Cinema Internacional", Porto, Portugal. May 2018 "San Mauro Torinense International Film Festival", Torino, Italy. 16-19 February 2017 "Festival Internacional Filmes sobre Arte Portugal", Lisbon, Portugal. 10 January 2017 "Barcelona Planet Film Festival", Spain. 8-11 December 2016 "Equality Filmfestival", Kiev, Ukraine. November 2016 "12 Months Film Festival", Rumania. 9 November 2016 "CINALFAMA, Lisbon International Film Award"
Honorary Mention for "the super mature and sensitive work." 14 September 2016 Cineteatro João Mota, Sesimbra, Portugal. 12-17 September 2016 "Ananse" Festival de Cine Afro, Cali, Columbia. 01-08 July 2016 "Arroios Film Festival", Portugal. - 05 June 2016 Mostra Internacional de Teatro de Santo André, Alentejo, Portugal. - 18 May 2016 17h Auditório Fernando Pessoa, Bairro da Flamenga, Lisbon, Portugal. 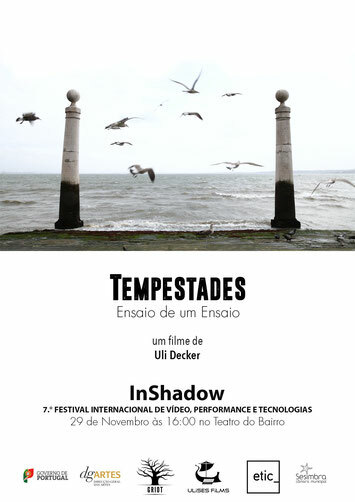 - 29 November 2015: The film was screened for the first time during INSHADOW Festival for Video Performance and Technologies in Lisbon. In September 2015 ulises films accompanied the first rehearsals of Shakespeare's "The Tempest" by acclaimed theatre director Bruno Bravo with teatro Griot, an African-Portuguese theatre company based in Lisbon. In the process, the teaser for the show was made and a 30 minute essay-documentary gained form, which links Shakespeare's play with the actor's biographical stories. Teaser for the play "Tempestade"